Awesome ranch home! Just renovated on spacious lot. No HOA. New roof. Open floor plan. New energy efficient windows, new stainless steel appliances, new flooring throughout, new bathroom fixtures, updated lighting and hardware, new exterior doors, updated paint exterior & interior. Spacious lot with fenced area. 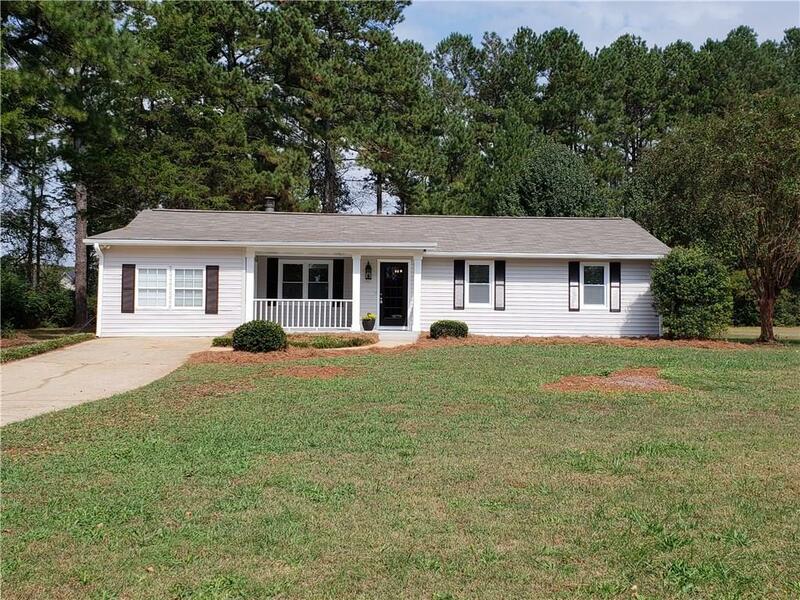 Convenient location to Hwy 316, I85, shopping, restaurants, etc. Gwinnett County schools. Directions: I85 N To Exit 120 (Hamilton Mill) Turn Rt. Continue On Hamilton Mill Parkway Till Dead End At Jim Moore Rd. Then Rt. Light At Hwy 324 Turn Lt. Approx 2 Miles To Bailey Woods Rd Turn Lt. Home On Lt.